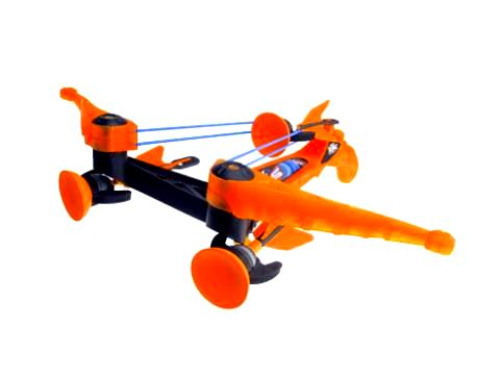 Toys As Tools Educational Toy Reviews: Review & Giveaway: Z-X Crossbow Supports Fine Motor Skills? YES WAY! 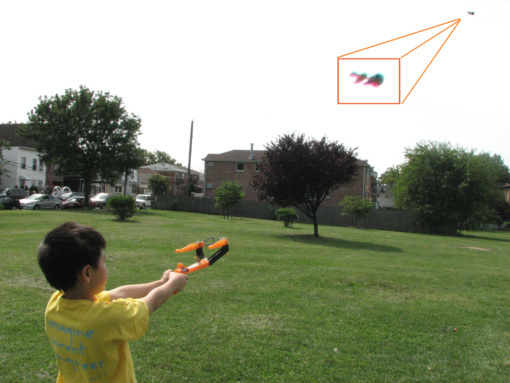 Review & Giveaway: Z-X Crossbow Supports Fine Motor Skills? YES WAY! 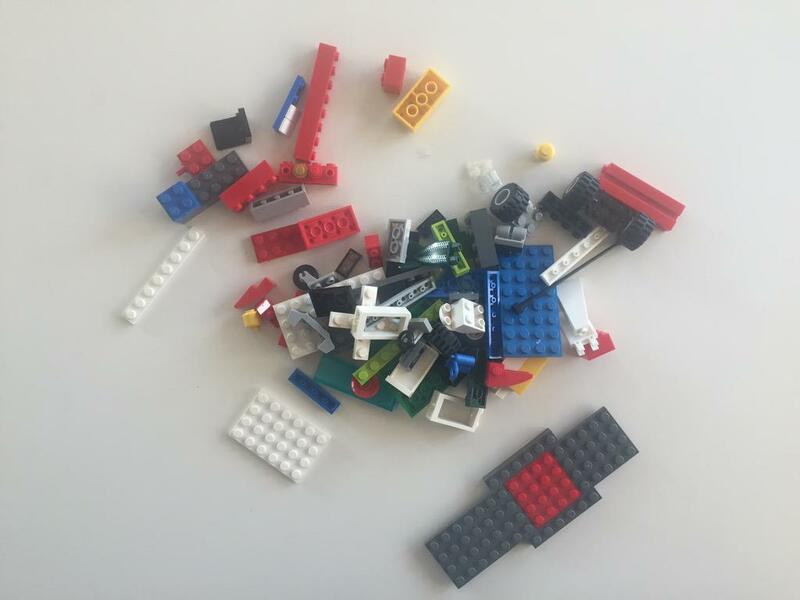 How does this lead to supporting fine motor control? Is this for real? I clearly believe that half of my personality makeup comes from being the youngest child in my family. I have one big brother and to me, when we were growing up, he could do everything better than me. He also got in more trouble than me and took up a lot of my parents' attention. So even as a young girl, I made a promise to myself that if I had two children, my youngest would not live in my eldest kid's shadow. With Number 2 Son who is now five, I try my best to consider his feelings. His older brother had three years of having an identity as that of an only child but Number 2 has always been someone's little brother. I know that he is envious of his older brother who is very talented in so many things. Whenever they get a new toy, and my youngest starts to struggle with it, I feel so bad for him. Even if I help him, sometimes, he really isn't ready and that is that. Sometimes you just have to wait, I tell him.. This can be use both indoors and outdoors. When outdoors, it can really go far!!!!!!!!!!!!!! But!!!! When the Z-Curve Bow arrived at our home and I saw its potential to build confidence and focus, I was determined no matter what to make it work for my little one. 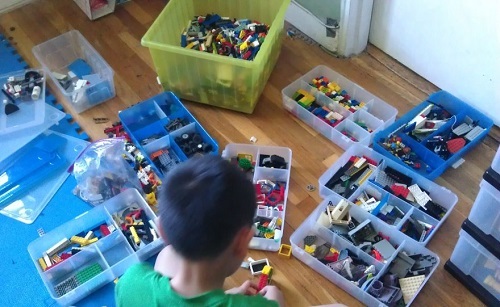 I know the box says 8+ and that he is only 5 years old but soon he will be six and he is as tall, if not taller than other six-year-olds so I said YES to skill-building and said NO to restrictions- even my own! Can I Pull the Trigger on My Own Rigid Views? With just a bit of ambivalence, I requested to see the Z-X Crossbow. Why ambivalence? Well, the Z-X Crossbow has a trigger and anything that resembles guns makes me nuts. However, you don't have to look at the crossbow for a long time to know that it's not a gun.... no, not at all. A water gun is more like a gun than a crossbow. It's the access to rampant shooting that I dislike. Thankfully, the Z-X Crossbow has a safety and so it does give a pause to even the most impulsive kids. More importantly, it is yet another way to practice marksmanship which I TOTALLY want for Number 2 Son. You would too if you had read my review featuring the sage opinions of Aimee Prainito. She loved the Z-Curve Bow, the Zip Bak Bow and the Z-X Crossbow all for the same reasons. I know what you are thinking.. what the WHAT? Since we've talked a lot about strengthening their middle section so that they can like uhm...... sit up and pay attention in school??? (core trunk stability), I think we can focus on upper extremity strengthening for this review. I love his determination. He really feels very proud of himself as he exerts his strength to load the crossbow. Aren't those little "arrows" cute? Sharpening Fine Motor Control- It's All in the Shoulders? But first, I just want to say that what I am about to tell you is not a prescription for any condition. I hope all of the reviews are being read as helpers, idea developers, and as fun parts of a whole in the special agenda that you seek. With that said, I MUST MUST MUST tell you what Aimee said about those Zing toys, namely this time, the Z-X Crossbow. Aimee mentioned that upper-extremity work was bigger here than the other toys. At first, I wondered whether upper extremity strengthening is even necessary for children. It's not like they are doing arm curls with five pound weights, right? Is it really that important? Really? He gets better at loading after trying over and over again but there is no frustration, only will to achieve. "Push-ups are so important," said Aimee. "If you can’t stabilize your shoulder, you will never get correct control of your fingers," she said. Ohhhhhhhhhhhhhhhhhhhhhhhhhh. Stable shoulders leads to better fine motor skills? Is that why they made us do push-ups in school? I hated push-ups in elementary school. Chubby kids like me found them humiliating. And those "girl push-ups"? What was that all about? Do they still have that? Some kids really like goal-oriented play. That can't be discounted. Well, for Number 2 Son, I could see not only his body strengthening, I could also see his spirit strengthening too. He was able to load the crossbow using his whole body and more importantly coordinating both his hands to achieve his goal. I could see that he was proud to play alongside his brother and not feel he was 2nd best! Yeah! All that plus upper extremity strengthening? I'm sold! "Think of how a baby develops, they lift their head, then they lift their shoulders." Then, Aimee pointed out that they can not grasp anything if they can't lift their head and shoulders. Within seconds, I had a flashback to the baby times when my kid wouldn't stop crying until I released him from "Tummy Time." I honestly had no idea why we had to do Tummy Time and I don't believe I tried very hard to make him do it..... oops.. well, that was a mistake, wasn't it? As long as they obey my rules (only shoot targets and not each other), they get to keep their Zing Toys. As impulsive as they are, they have actually kept their promise! I guess I am making up for lost Tummy Time now. I figure that since they are still growing, I can't be written off as a bad mother just yet. The good news is that with the Z-X Crossbow they likely won't be crying and running away hating you for making them exercise like this. That's good news! I could use less crying and less mother-hating for sure. Just recently I was called a "dummyhead" by one of my children, sending me straight to Pluto in shock. But, if you need one more reason, I do have another cockamamie idea! See the next blog post for my SCIENCE PROJECT idea! Now you can win your own Z-X Crossbow! Try the Rafflecopter widget below and remember... please follow the rules... If you are supposed to make a comment on the blog post, the rule of thumb is... if you can't see your comment then, it doesn't count as an entry! Also, if you have trouble entering Rafflecopter via Facebook, try just using your email address. I'm sorry this system frustrates some of us. If you have trouble email me. I want to help. This giveaway will only be shipped to U.S. addresses only. Disclosure: Toys are Tools has not been compensated in any way by the manufacturer of this product. The product was given to the tester and the expert in order to facilitate a review. Reviews are never promised. I love the looks of this toy. Great for hand-eye corridination and fine motor skills! My son has been known to go into the bathroom and try to make some science experiments. Nothing like water,bubble bath and anything he can find. Loves to see how even some heavy toys float! I actually did some shopping online yesterday. Cyber-Monday! Got the kindle fire on sale for a good price and used a $30.00 coupon. Hooray for me. I buy a lot from Amazon especially with FREE shipping. No, I don't usually shop on Cyber Monday...in fact I had never heard of it until this year. My kiddo uses her toys (and other household objects) as science experiments all the time. I didn't do much shopping this year as we're getting three things for each kidlet and concentrating on gifting to others. I did venture into the world of K'nex this year for DD2. i am so excited to build with her! I also bought Apples to Apples Jr. and hope she loves that. Amazon + Super Saver shipping rocks my socks. So much easier than trying to figure out how to shop without kids. hope it is not broken too! if you need a good timer to go with your Wii system, I recommend Time Timer! wow, I could never come up with those questions! 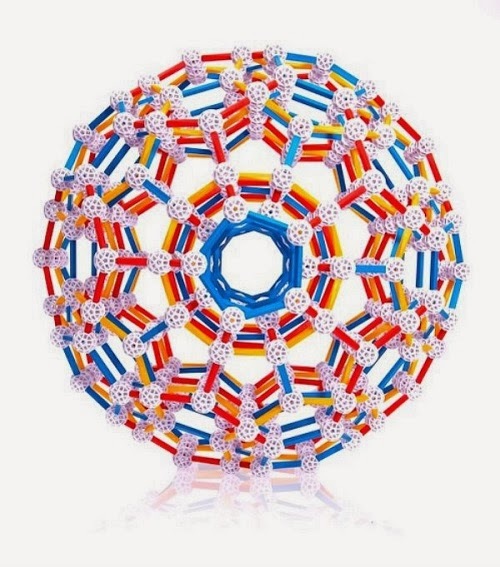 we are looking at more K'nex right now. They're great! tell us all about your kindle. I might do the same! Sounds like your son's favorite question is my son's favorite question.. "What if I.....?" No, i've never seen their regular toys used for science experiments. Just specific science products.